CUPERTINO, CA—In a surprising elimination of one of the product’s oldest features, Apple CEO Tim Cook announced at a product unveiling Tuesday that the new iPhone 8 will no longer secretly record every word you say. 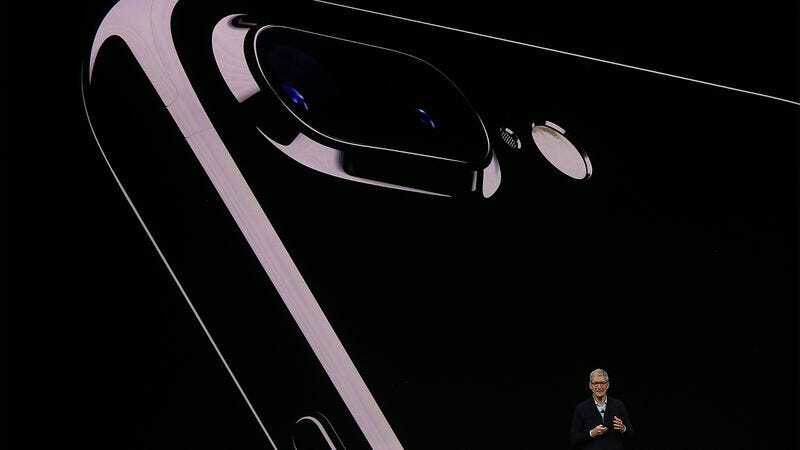 “Although the iPhone 8 will be our most advanced device yet, it will not have the capability to clandestinely preserve every single thing that comes out of your mouth,” said Cook, explaining that, for the first time in its 10-year history, the iPhone will not come installed with a voice-activated recording device that automatically sends audio files of users’ conversations directly to Apple headquarters. “That said, it’s worth emphasizing that this change in no way affects the functionality of older phones, which will not only continue to gather every spoken word but also permanently archive all your text messages regardless of whether you actually elected to store them in the cloud.” Cook went on to say that removing the audio recording device helped create additional space for a longer-lasting battery that allows the phone’s camera to capture video of users 24 hours a day.